Milly Triple Sixes had a sister named Josie Porpentine though none of her friends knew she had any family at all. Milly (according to Josie’s accusations) failed to come home for Christmas ever since she dedicated her life to (fake) Satanism. Josie revealed this lack of a Christmas return embarrassingly to Milly’s whole (fakely) Satanic rock band (Raining Rainbow Corpses) during one (random) garage practice (given greater importance (by Milly) considering the impending regional band battle (Band Battle at the End of Everything)). Josie was dressed in thoroughly unSatanic business attire. She could’ve been a legitimate business lady or a librarian or a senator, displaying the sort of conformity (at least according to this first impression) Raining Rainbow Corpses was supposed to rail against, but all in all she seemed like a nice and decent lady. The problem was (at least according to Milly) Raining Rainbow Corpses might one day have fans. If these Christmas visits became common knowledge among these (fakely) Satan-worshipping fan legions, this would ruin her reputation for bedevilment and badassery (should that reputation ever actually come to fruition). “It’s what good people do!” was the sort of thing Josie Porpentine would say between screams with the sort of passion incongruous with her put-together demeanor (but similar to Milly’s passion in screaming about “Bastards of Corporate America” (or whatever she screamed about in her ultraSatanic screamery)). “Fans of Satanic rock bands don’t tolerate anything to do with Christmas!” was the sort of thing (or nonsensical blather (depending on your perspective)) Milly screamed back at her sister (with unsurprising volume). Chastity’s objection was thusly shut down with only mild condescension. Besides, this conversation between Milly and Chastity only punctuated more explosive fits between the two Porpentine sisters. By the way (because it seemed like a by-the-way sort of thing) Josie had strapped to her belly by babycarrier a robot plush with long limp dangly arms. Why would otherwise-business-like-demeanor lady carry a plush in this way (like harajuku girls)(or like a baby-less lady who lost her mind and carried dolls around as void filler)(or like–not really like anything Chastity had seen before)? “Hush now, Doohickey. I got this handled,” Josie said and patted the robot plush like a pet on a belly harness. Milly (despite all her rock and roll bravado and rage that led so easily to any silent space being filled with her ragey sound no matter how senseless) failed to answer. Chastity opened her mouth but had nothing to say. All of it left her boggled and blank. Whatever followed and all its tragedy was now piled on Chastity Schwartzbaum. Doohickey did sing at the Band Battle at the End of Everything. She sang “Santa Baby,” too low to even make out the words (uncertain of how microphones work or incapable of holding one properly in limp arms). The audience laughed (uncertain of the type of irony applicable in the situation). Even the Prophet laughed. Milly and Josie stood in the back, powerless against the laughter, except for Milly to mutter “Idiots” and “Assholes” too low for anyone but Josie to hear her (more certain than anyone). Chastity could read her lips from stage and knew exactly what she was saying (uncertain of whether it was for the audience or the rest of the band). She and the Lava Sisters likewise did nothing to save poor Doohickey. They barely knew music to begin with, so improvising “Santa Baby” was sapping most of their mental and emotional energy (they usually let Milly’s rage cover any deficiencies). Doohickey’s voice faltered like she was finally feeling the emotional effect of the laughter (a barelyfalter but the tragedy was unmistakable). She couldn’t leave the stage (legs too limp (hence why Josie carried her everywhere)) but it was Milly this time who rushed to lift her, pushed through the laughing crowd, slung Doohickey over her shoulder like a baby and walked out to the alley, angrier now at everyone than she’d ever been (Doohickey: “I liked it.” Milly: “Stop lying!”) and stomped like she could break the stones beneath her. Chastity followed her out to the alley and tried to say, “I’m sorry, I didn’t even consider the laughing.” But Milly was too fast and too monolithic a force to ever hear something so pitiful (and none of this was about Chastity anyway). Then Josie passed Chastity, grabbed Doohickey out of Milly’s arms. Milly had no choice but to relent (she was the weaker one)(Chastity imaged a tugging that would tear the little sister’s body to pieces (but of course that wasn’t the real Milly Porpentine)(she became nothing but a crumbleheap the way Doohickey might’ve been had anyone resisted)). Josie disappeared (as Doohickey’s little voice said “Merry Christmas” to all the new band friends she made) into whatever mysterious and purposeful life she lived. Milly stood there (Chastity stood behind her) with nothing to say to shatter the world or the pure and silent and cold winter white around her. I developed the system/concept I call “particulate stimulation” as, I hope, a practical tool for fiction writers – a way to understand the internal mechanisms of fiction’s interaction with the reader – but I believe these concepts are applicable to all the arts and to serious criticism as well (since I have yet to encounter a critical strategy that approaches the arts in this way). 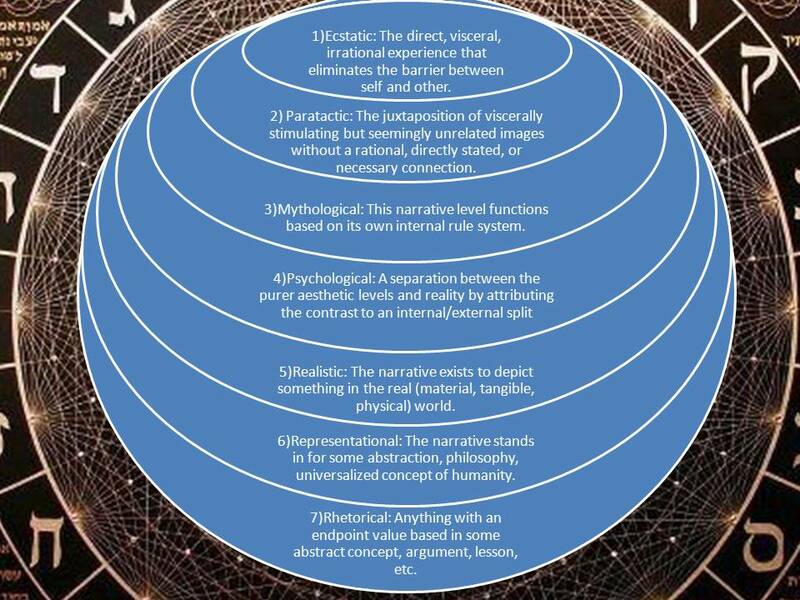 In short, the concept rests on the notion that the primary, irreducible value in fiction (or in any experience of the arts) is in the direct stimulation of the reader (viewer, audience, etc.) that breaks down the barrier between self and other. This is an essentially irrational, gut-level act, so the irrational and the gut-level understanding of fiction (and other arts) is favored as a primary value. I call this value “primary” and “irreducible” because it is the first value to consider – whether or not it is the greatest value is up to the individual – and it is the one value that remains once other values are eliminated. If one were to ask “Is this piece of fiction (etc) good?” and “Why is it good?” one might name a large number of possible values, but if one were to say “Without this value, could this be good?” or “In the history of fiction (or art), has an example of a good work existed without this value?” and eliminate values in this manner one by one, the only one remaining would be stimulation. For example, values such as meaning, reflection of philosophical/social concepts, or universal model of behavior might be cited as a story’s source of value, but could a story be valuable without any of these? Yes, of course it could. However, could a story be valuable devoid of stimulation? Unlikely. So, in the practical sense of optimizing this irreducible value, the writer then considers them secondary. The role of meaning or social reflection, for example, becomes a secondary function to how these factors optimize stimulation. The writer must also understand how the drive toward stimulation and the irrational breakdown in barriers between self and other meets the contradictory drive to eliminate stimulation (I simplify these forces below as “The Gut” and “The Mind”). To load a story with excessive emotions or completely irrational oddities, for example, might meet with the mind’s resistance to emotions and oddities, including the complex array of mental mechanisms designed for this resistance (such as subordination and categorization). To optimize the stimulation, the writer must strategically recognize these mechanisms for resistance and craft accordingly – to evade the gatekeepers, in other words. This concept was designed to compensate for the massive deficiencies in my own creative writing education in which teachers would rely on superficial truisms or false universals without the capacity to explain or justify them. It was like teaching a cooking class by naming all the pots and pans but giving no clear understanding of flavors and the interaction between flavors. Following clichés like “show, don’t tell” might make a story more snappy, but why? I never got a good explanation, so I had to come up with one of my own: concrete imagery engages the gut while abstract narration engages the mind. Comfort/Discomfort: Though the mind seeks elimination of stimulation, one type of stimulation it accepts is comfort. Concrete imagery is subordinate to abstract ideas. Parataxis: The juxtaposition of two seemingly unrelated image without a directly stated connection. The rule of threes: 2 occurrences might be coincidences and 4 verges on mechanical repetition, so 3 indicates the presence of life.